ISSTA and the Spatialization and Auditory Display Environment (SpADE, University of Limerick) is hosting a concert of 8-channel music resulting from the residency of Darren Copeland from New Adventures in Sound Art (Toronto, Canada). Works feature Irish and Canadian composers working in multi-channel sound. Irish composers include Brona Martin, Fergus Kelly, Aidan Deery and Slavek Kwi. 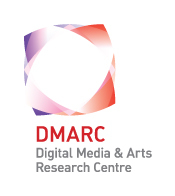 Special thanks to Digital Media and Arts Research Centre (CSIS, UL) and the Irish Chamber Orchestra for their support.